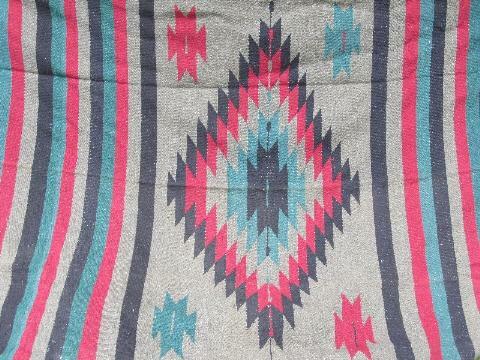 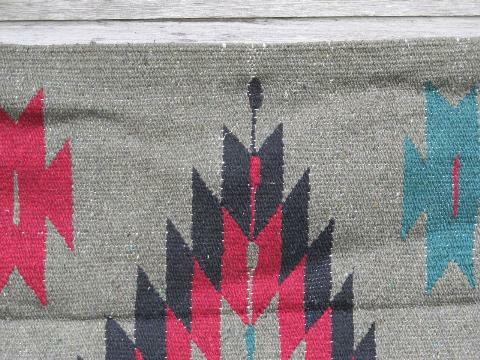 Vintage hand woven Indian blanket rug, from Mexico, we think? 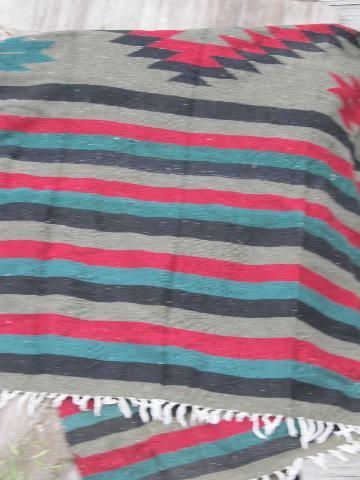 It's a cotton or cotton and wool blend, and measures 50" x 76". 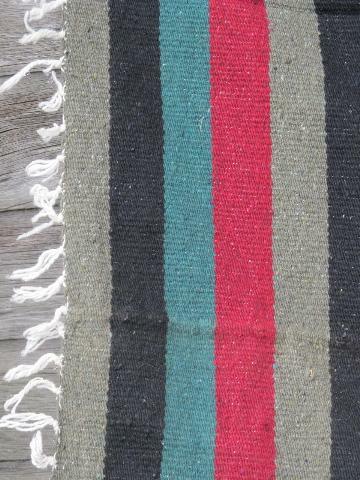 It's been used, but is in very nice condition overall, very little light soil, no holes, fading or spots.